So let’s start by dragging the “Invoke Runbook” activity, found under the “Runbook Control”. 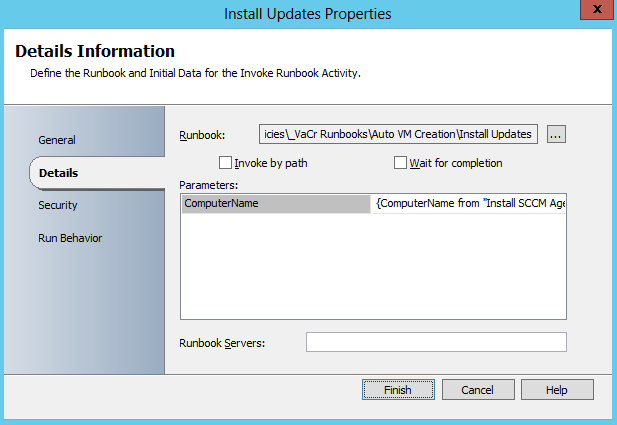 Browse for the UniqueVMName runbook and check the “wait for completion” checkbox. 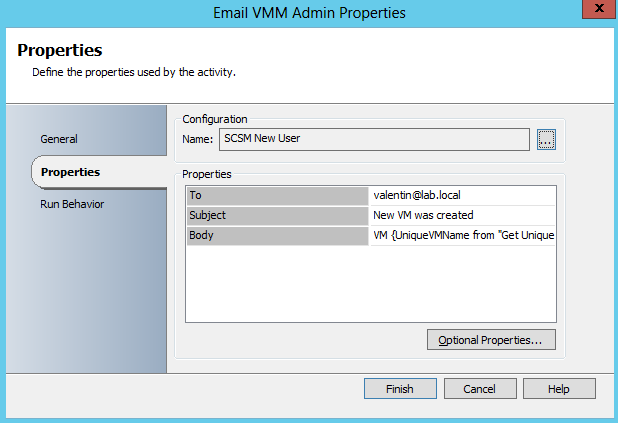 Also enable “looping with”, and configure the exit conditions discussed here: Generate Unique VM Name (Part 2). One of the two new elements in this runbook is the “Create VM from Template” activity, which can be found in the SCVMM Integration Pack. * For testing purposes, I used the GVLK keys (KMS Client Setup Keys) that are publicly available on technet – since the runbook will fail if you do not provide a product key. By using “invoke runbook” again, we connect to the Install SCCM agent runbook (Part 1). 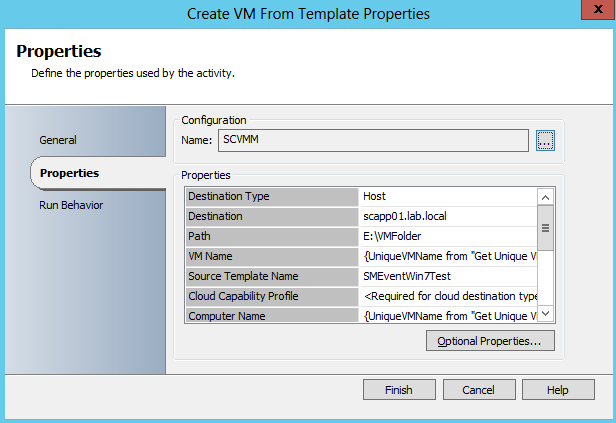 The ComputerName parameter gets the value from the “Create VM from Template” activity. The next runbook we will invoke is “Install Updates”. Again, we have the parameter ComputerName, which expects a value. This time, the value is taken from the “Install SCCM agent” runbook, which publishes this information through the “Return Data” activity. I added this last activity, just to make the point on how Orchestrator can easily operate with data from across multiple systems. There is still a lot to cover on child runbook. Mainly why use them? 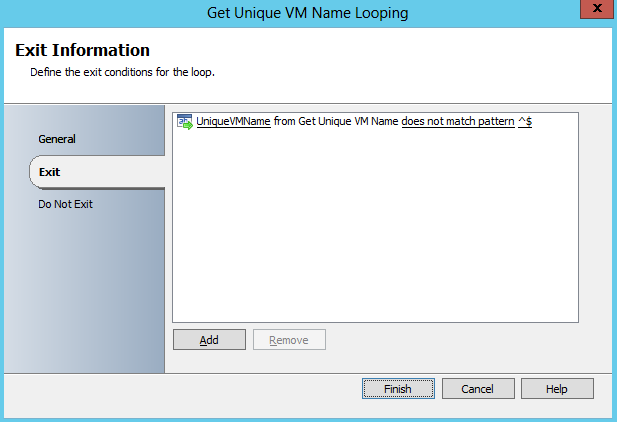 One example why you might actually need to use them is that you require a loop, like I did for the “Get Unique VM Name”. Another reason might be that you require speed, and you want to execute part of your activities in parallel. We still don’t have something that really triggers all this runbooks, I will come back to that in a future post after we dive a little in SCSM also.